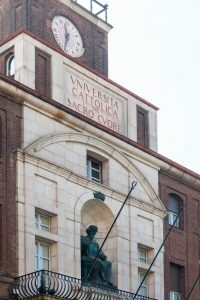 Founded by Father Agostino Gemelli in 1921, Università Cattolica del Sacro Cuore is Europe’s most important Catholic University and, in addition to its evolving global reputation, it is also the only Italian university to boast a national network with its five Campuses in Milan, Brescia, Cremona, Piacenza and Rome, where is located also the “Policlinico Universitario A. Gemelli”. 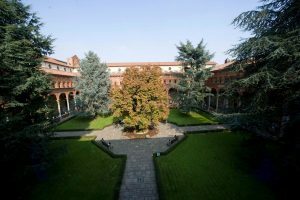 Università Cattolica’s didactic profile is extensive and varied: 12 Faculties (Economics, Economics and Law, Law, Arts and Philosophy, Medicine and Surgery, Psychology, Agriculture, Food, and Environmental Sciences, Banking, Finance and Insurance Sciences, Education, Linguistic Sciences and Foreign Literatures, Mathematical, Physical and Natural Sciences, Political and Social Sciences); almost 100 academic programmes – undergraduate, graduate and single-cycle graduate degree programmes; and a wide range of postgraduate programmes to provide top-class education for a total of 40 thousand students. 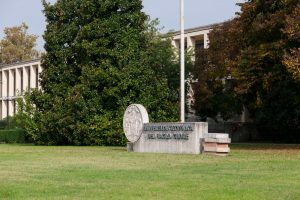 The international dimension is also guaranteed due to numerous degree programmes taught in English and the large number of foreign exchange students who choose Università Cattolica for its esteemed academic reputation. 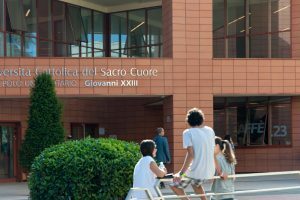 Equally, young Italians are given the opportunity to set out from the five University campuses to further their studies in foreign universities. Cattolica places great importance on its post-graduate offerings and it fosters forms of collaboration, relating to training and the workplace, with other national and international universities and research centres of excellence, along with successful business enterprises and institutions. Through its tradition of relations with the start-up ecosystem (venture financing, incubators, Contamination Labs, banks, technology centres, start-uppers, foundations etc.) the University helps fledgling businesses and potential entrepreneurs to kick-start their ideas and to collaborate coherently with public and private entities. The University promotes and supports collaboration projects in Africa, Latin America, Asia, Europe and the Middle East, with the direct involvement of students, professors and administrative and support staff. • The Osservatorio per il territorio: impresa, formazione, internazionalizzazione, set up in the Brescia campus, supports the development of local entrepreneurship through training, research and consultancy on the themes of innovation and internationalisation.